***There’s been much ado this week about the announcement by Coca-Cola boss Muhtar Kent (left) that it’s going to put calorie counts on its fizzy drinks and stop advertising to children under 12 (a virtual impossibility in the online age unless you stop advertising altogether). And stop sponsoring music, which Coke clearly isn’t going to do. We observed a while ago that Coke and Pepsi had to come up with a credible answer to critics, whose ranks now include poacher turned gamekeeper Alex Bogusky. 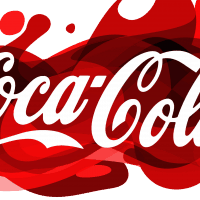 In making the announcement Coke had to acknowledge that, while its sales of sugary drinks were falling in the US and Europe it was selling buckets of them in other markets like China. where its ‘zero’ products were not so available. C’mon Coke; you should be able to do better than this. ***Britain is gearing up for a sports war between BSkyB, proud owner of Premier League football rights (having seen off Disney’s ESPN and Setanta) and telephony and broadband local giant BT which has forked out £3bn to make some PL games free to its broadband customers. BSkyB shares have taken a hammering whereas BT’s have gone up. Not entirely sure about this: I wouldn’t buy BSkyB just now but I’m not entirely sure about BT’s ability to turn (some of) itself into a sports broadcaster. I wouldn’t touch rival Virgin Media (now to be run by former Murdoch henchman Tom Mockridge) with a bargepole. ***Here’s an interesting ad from Decisive, which claims to be one of the few remaining independent agencies of any note left in France, home of Publicis and Havas. It’s for venerable Alsace brewery Fischer but for decidedly un-venerable beer brand Desperados, a tequila-flavoured brew. A beer for Mad Max-style hooligans – and why not? Anyway, Fishlock won A$270,000 – good for him. ***Wrigleys is relaunching its 5 Gum in the UK with a poster campaign from integrated agency Billington Cartmell: ‘taste intense’ is the theme. It’s quite striking; some of these ‘integrated’ agencies are quite good at ads these days (they used to be called sales promotion agencies and weren’t good at ads at all).